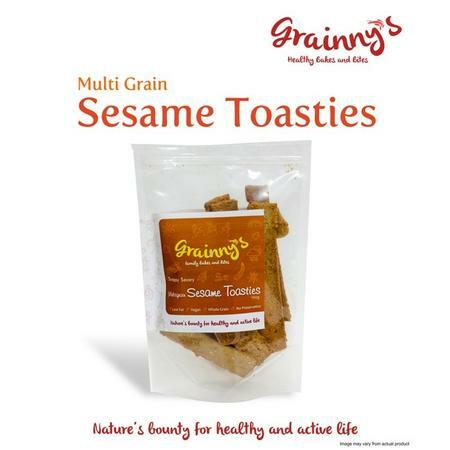 Now skip the diet control and have a crunchy day with these low fat, saltish namkeens (Savories), mixes and toasties. It’s Vegan, gluten-free, and roasted without added oil. 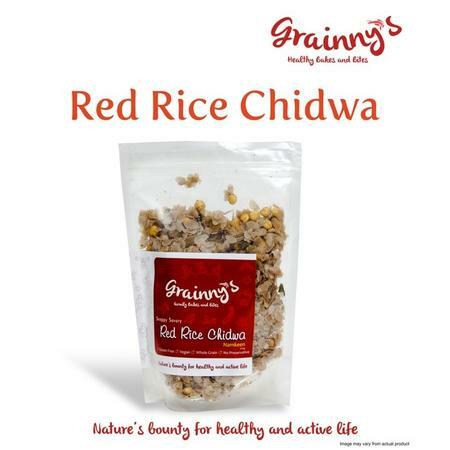 Rich in fiber, contains complex carbohydrates, for good energy levels without weight gain. Its low Glycemic Index, is ideal for maintaining sugar levels. A good source of Iron, Manganese and Zinc. Contains Vitamin B6 and helps lower Cholesterol. A saltish savory, rich in calcium, Iron, potassium, phosphorus, and proteins. Supplies energy from low Glycemic Index ingredients, which keep you going longer, ebbing the hunger tides. Keep a pack handy and munch away whenever and where ever. A time tested formula now further fortified with the sustained supply of energy, proteins, micronutrients, anti-oxidants, and anti-inflammatory ingredients. Ready to eat anytime, at all times. 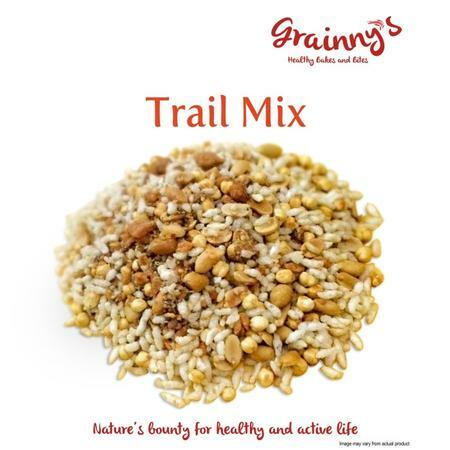 Ingredients - Peanuts, Roasted Gram, Jaggery, Sesame, Mustard, Mustard Oil, and spices. Raising the dough to new levels with healthy and tasteful delights, fresh from our oven. This Biscotti is rich in taste yet light on weight. Patiently air roasted to create a perfect crisp, and enthralling flavours with sweet-smart real fruit ingredients, for balanced nutrition and taste. 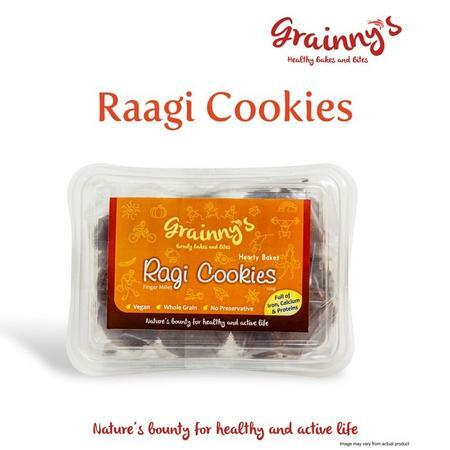 Ragi, an all-rounder grain, is high on calcium, fiber, proteins and iron making it a great nutrition bite for kids and adults. It is suitable for weight watchers and Diabetic**, and helps reduce cholesterol in the blood. Dip it in your tea, coffee, milk or just munch through the day. Be assured that you are holding the best of nature's bounty. Delicious and refreshing cookies to nibble on all through the day. With natural goodness of whole ingredients, and complex carbohydrates, stay energetic and active with this chef's speciality. Sorghum (Jowar) is a rich source of anti-oxidants, helping cell rejuvenation and helps protect against Diabetes*, and cholesterol. 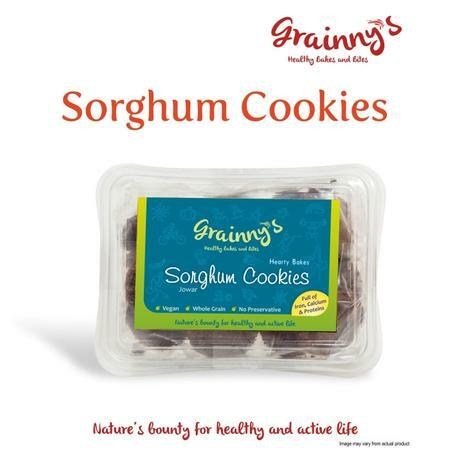 Ingredients - Sorghum (Jowar), Whole Wheat Flour, Jaggery, Cardamom, Cinnamon, Coconut Oil, and Baking Soda. 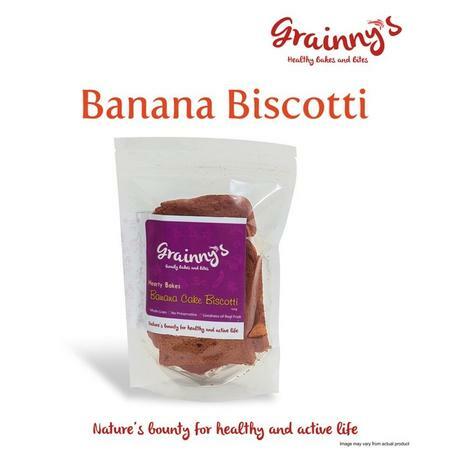 whole-heartedly and guilt free, because each of its ingredients are chosen to make you healthier and fitter. Ingredients - Peanuts, Whole Wheat Flour, Jaggery, Cardamom, Cinnamon, Coconut oil, and Baking Soda. 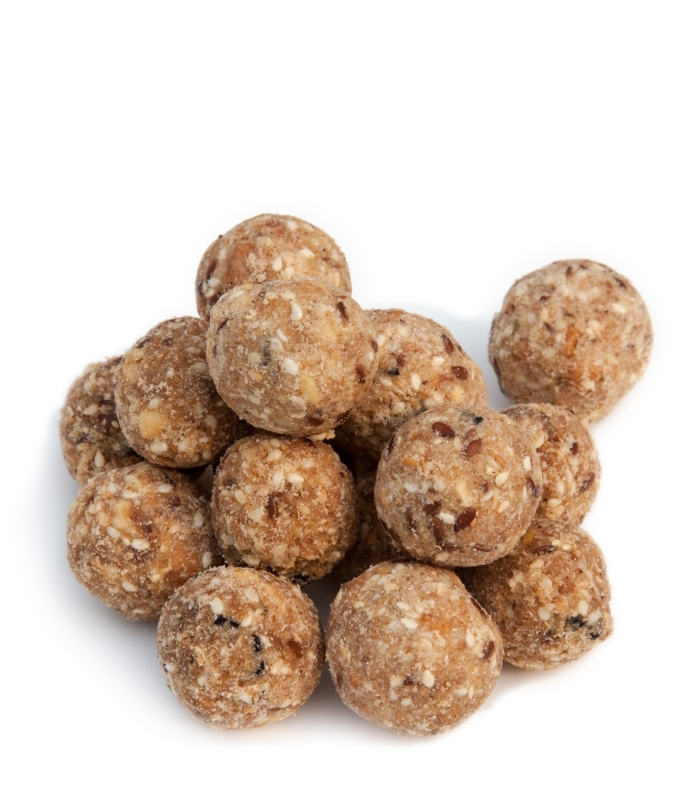 Pocket sized energy packed food for sports, work, outdoors, school or the next hunger strike. 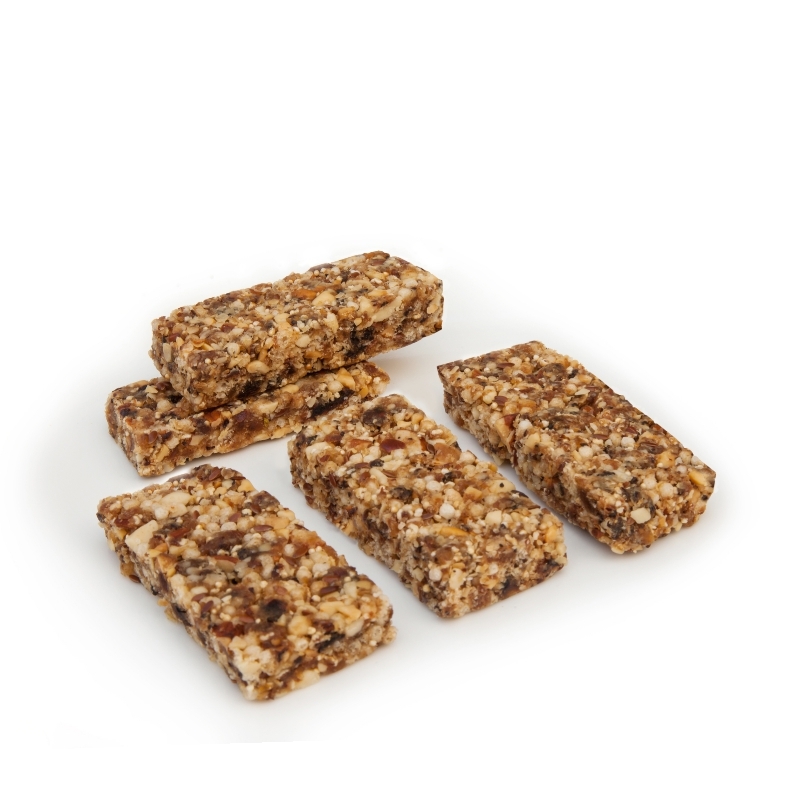 The bar is designed to maintain steady energy with the right balance of Glycemic Index and vital macro/ micronutrients. Unprocessed natural ingredients make it perfect for all ages. Good for all day eating, travel, work, school, recovery and endurance / cardio fitness activities. 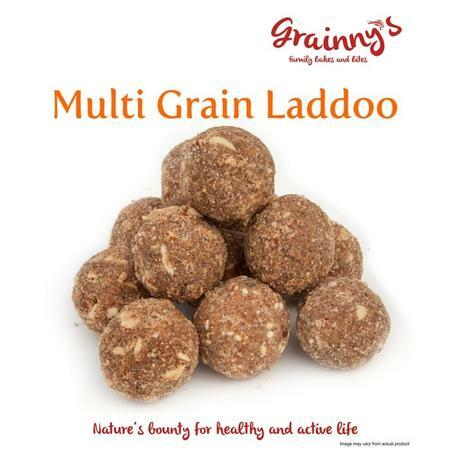 Ingredients - Almonds, Peanuts, Oats, Amaranth, Coconut, Flax Seeds, Puffed Rice, Coconut Oil, Dates, Black Raisins, Apricots, and Brown Sugar. Real dark chocolate, not only a tasty mood booster but also good for the heart and better fatigue recovery. 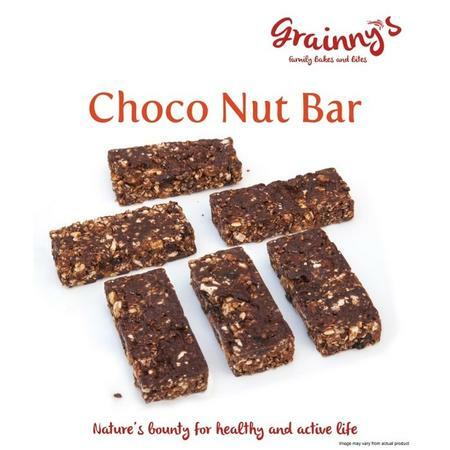 The bar is designed to maintain steady energy with a right balance of Glycemic Index and vital macro/ micronutrients. Unprocessed natural ingredients make it perfect for all ages. Good for all day eating, travel, work, school, recovery and endurance/cardio fitness activities. Guilt is past with these low fat, all natural sweets. Eat to energise your day or as post-meal desert, celebration of health begins here. Rich with calcium, iron, potassium and phosphorus. Contains vitamins like Riboflavin and Thiamine. Supplies energy from medium Glycemic Index*** ingredients, which keep you going longer, and will fill your appetite with healthy ingredients. These are ideal to start your day to replenish your body with essential nutrients. Ingredients - Ragi, Jowar, Whole Wheat Flour, Green Cardamom, Coconut, Jaggery, Almonds, Raisins, Peanuts, and Cow Milk. 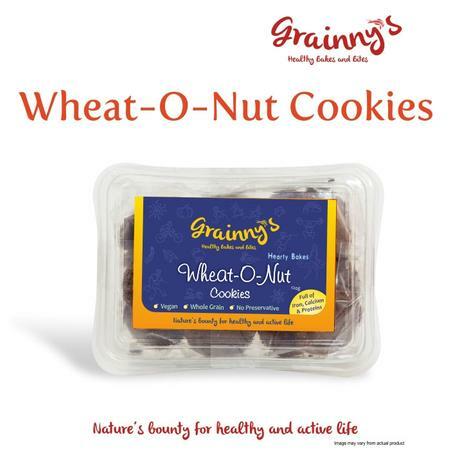 Goodness of the whole home-ground wheat, mixed with seeds and nuts rich in anti-oxidants, vitamins, and minerals like calcium, copper, iron and manganese. These trace minerals are essential for vital body functions and recovery from ailments. Jumpstart your day with these, or eat anytime, to gift yourself from the nature’s bounty. * People on Diabetes and heart related diets, may find most of our products suitable in controlled servings and with professional medical advise.